Here's the thing: I was planning on writing about the closing of Food City in my neighborhood (the one at 1st and Ft. Lowell) for quite some time. Thing is, my old laptop decided to take a big poop and just stop working, right after I uploaded a bunch of photos I took of the store's last day. That day was strange indeed. It was really odd to see the once vibrant yet slightly creffy grocery shop with empty shelves and the produce area that beamed with color from the vast varieties of peppers sit dark and barren. Even though the store was down to, oh, I'd say 40% of what they usually have in stock, people were still walking around with carts as if nothing was happening. I mean, the items that were on the shelves weren't even discounted! There was no "Last Day, All Things Must Go!" sale going on. People were just going on as if it was just another day, not the last day of their neighborhood Food City. It felt like people were shopping in a recently shelled market, still smoldering from the bombing, but needed canned Alpo and decaf Folgers stat, no matter the tragedy or depressing environment. The photos I got were great. That makes losing them so painful. Images of worn counters that have seen endless hands, barren refrigerated areas sitting warm and waiting to be dismantled and the butcher block that provided delicious meats and chicharron that was all but forgotten. But, whatever. Nothing I can do about it now. Luckily I had the chance to speak with a manager that day, mainly because I was walking around taking pictures and I wanted to be sure if it was cool to be doing that, who looked as if he was relieved that the store was on its way out. Can't really remember the exact, yet brief, conversation we had, but the sum was that all employees were taken very good care of, were being reinstated to other Basha's owned businesses or just quit and went on to other ventures as they were done scanning EBT cards and locking up baby formula because of theft. Yeah, Food City has that vibe and clientele, but for me, it was kind of magic. Having shopped in small corner bodegas for a long time back in California, it was nice to see one on steroids. Food City was like a crappy carniceria hopped up on Gamma rays. I loved it from the moment I walked into the one down the street from our house. It was the music that got me first. Loud, boisterous Cumbria and Mariachi music, all sung proudly in Spanish, unapologetically boomed throughout the spacious store. Not to mention the products. Acres of cotija cheese, Abuelita hot chocolate, marinated steak and chicken swimming in brightly colored flavor baths and avocados cheap as 2 for 5. I mean, yeah, they were bright green and hard as a rock but put those guys in a brown paper bag for a day or two and, whammo!, you got guac ready avocados sold to you for a song. So when the word got around that my local Food City was going to be shut down I got a little dismayed. Where am I going to buy my peppers now? What about cheap mixers for drinks? Freshly made tortillas that doesn't come from a nice lady selling them out of a truck? 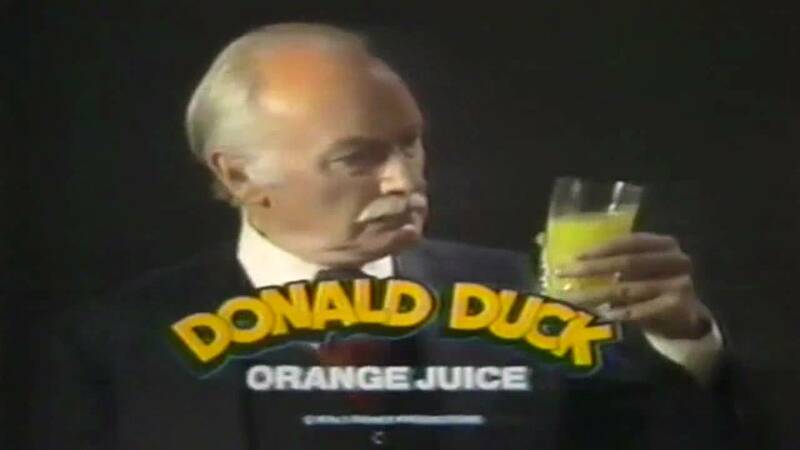 Donald Duck orange juice...where am I supposed to get that now? A week before the closure, the day I heard about it and a few days before I walked around the almost empty space with my camera, I was buying some stuff and asked the lady who was ringing me up what was to become of my beloved neighborhood Food City. "Oh, they're going to turn this into a Wal-Mart," she said scanning my pinto beans. "Like the supermarket kind." A Wal-Mart? Just a half mile from our house? At the corner of Ft. Lowell and 1st Ave? Just spitting distance from my library job? Are you serious? Oh yeah. She was serious. Having lived in mostly metropolitan cities in California, I had heard about Wal-Mart but never stepped foot in one. Why would I? There was nothing but other smaller and like minded shops to purchase toilet paper in bulk or a sheet set when it was time to change out the old abused one. The first time I walked into a Wal-Mart was late December in 2006 here in Tucson. Some new pals I had become friends with needed to buy last minute Xmas gits. We had been drinking, it was cold out and roaming the parking lot at the location on Wetmore Rd. was a nutty guy donning a mattress tied to his back. Not too sure if he was expecting to pass out soon or if he was just a busy male prostitute. Either one, I was hesitant to step through the sliding doors that would lead me into vast retail flabbergast. I hated Wal-Mart immediately. It was too bright, too big, smelled of fart and tube sock and with my inebriation the whole station hummed with abandoned hope and the hex of discounted feminine hygiene products. It was late, like almost midnight, a Thursday, and there were families with little kids shuffling around. 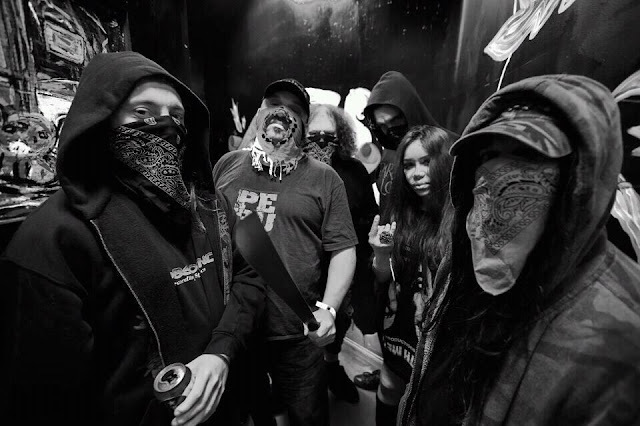 That questionable account was only marred by the seeming gangs that were at hand. No seriously. Like by hardware, there was a gaggle of Crip looking dudes all dressed in blue, but over by electronics, there was a mess of guys all donning red. Was...was there going to be a rumble? In a Wal-Mart? Luckily my friends found what they needed and we exited before any proverbial poo went down. But it took a while. There were at least twenty cashier stations but only two cashiers were seen. The lines at that Wal-Mart at midnight, the Thursday before Xmas 2006 were serpentine and dispiriting. It was then that I knew I was not a fan of this or any Wal-Mart. Okay, yes, I have been to Wal-Mart's after that experience. How can you not? 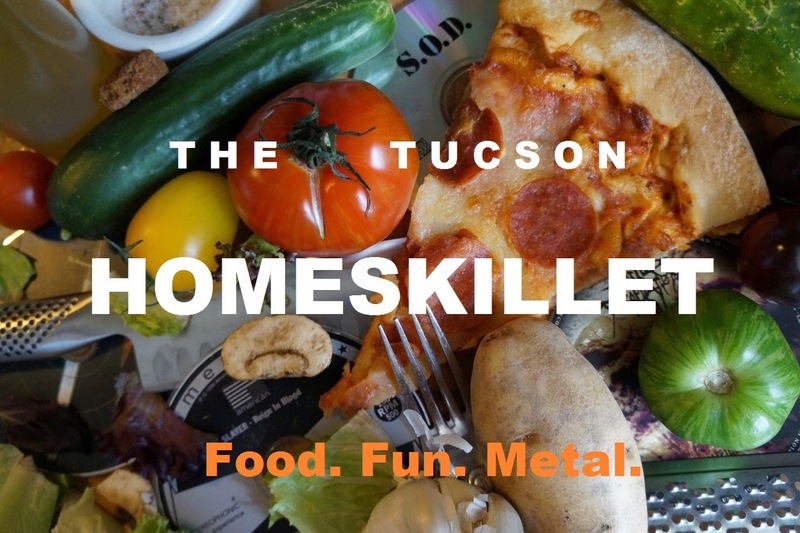 If your garden hose breaks, which it does after lots of use and surviving Tucson's brutal summers, you can either go to another big box store or go to Wal-Mart and get it for half the cost. Still though...that place gives me panic attacks. Now they want to build a "neighborhood" Wal-Mart (which is essentially a super supermarket) in my neighborhood and I have a sinking feeling this move is going to change the landscape of midtown Tucson, for better or for worse. On top of the threat of the retail giant, lots of old homes and crappy apartments midtown are getting torn down to make way for mildly pricey condos. When I'm out working in the garden or just hanging out with Lil' Poundcake (our cat) on the patio, I can hear the pounding of hammers, the beep beep's of reversing power vehicles and the smell of freshly laid tar. Now, I'm not trying to sound like a curmudgeon-y old man that just don't like change 'cuz it confuses me and, well, why can't things just stay the same? If it aint broke, don't fix it! I was doin' just fine with those meth labs up the street...why tear 'em down? Stupid progress! Where's my Activia? No. What I am saying here is that the little universe that is the square area of 1st Ave / Prince / Campbell / Grant is going to be a lot different in a few short years. Thing is, we like our little hidden cabin in the middle of all this. It's cheap, it's near everything and best of all it's fairly quiet. But with all this development, we fear of rent hikes or even getting bought out. 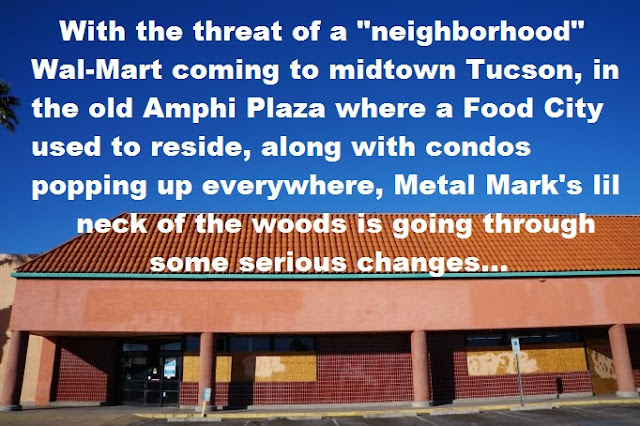 What's going to happen to La Botana, which has one of my favorite burritos in Tucson (I'll touch on that in a future Homeskillet), that sits on the corner of Amphi Plaza, right where the neighborhood Wal-Mart is proposing to call home? Will it endure or will it become a Starbucks? I'll really miss their Percheron and their queso blanco if it does. But I'm getting ahead of myself. The long area of dead stores in the fading Amphi Plaza still sits in quasi memorial, a testimony to dusty ideas and failed trials of the past. Except Food City. That place was awesome. That is something I am still dealing with. It's just sad to walk or drive by the crumbling facade of that Food City, my old go to spot for produce and Mexican fare, just a short distance from home. All the signage is gone, all that's left is good memories...except, much like Wal-Mart, there was always like a dozen check out depots but only three staff members manning them. So, yeah, I often stood there with my blue basket full, listening to the hopping musica over the crackling speakers and being on the constant lookout for a possible cashier opening up that I can quickly dive into. But that rarely came. When the texts from She-Ra would come asking what's the hold up, all I could do was answer back "Foo Shi**y" and she would understand. Don't make me turn into that crusty old man. I'm too young and I'm just not ready for that Activia stuff. Unless you have it on sale. Then... Well, let's just say we'll see what happens. It's true that some changes in life are very hard to accept. Specially, when it comes to things which have a nostalgic feeling attached to it. A Grand Day Out With The Tucson Homeskillet! Kneel Before The Altar Of A Meatless God! What's That Smell? Oh, It's Romance In The Air!